Last week we noticed that the trophy list for The Sly Collection dropped a subtle hint at a fourth game for the series. 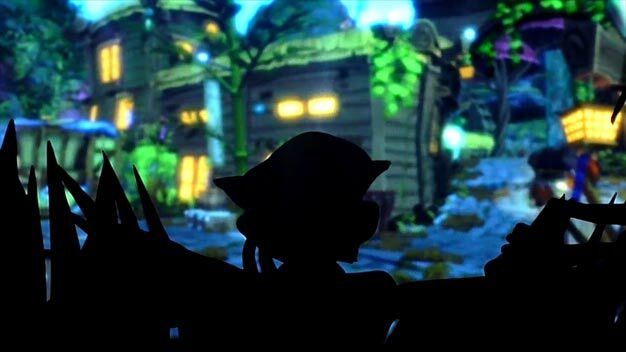 Now that game is out fans have stumbled upon pretty much the only confirmation you’ll need: a teaser trailer for Sly Cooper 4. And we do mean teaser; the short clip only sees Sly emerge from his hiding place, then the trailer asks “Sly 4 ?” and that’s it. It’s not entirley clear how to unlock the trailer in The Collection yet, but it may be that you have to platinum every game in the trilogy. Will this be a PS3 or PSP game? Hopefully we’ll get some official word on this soon.